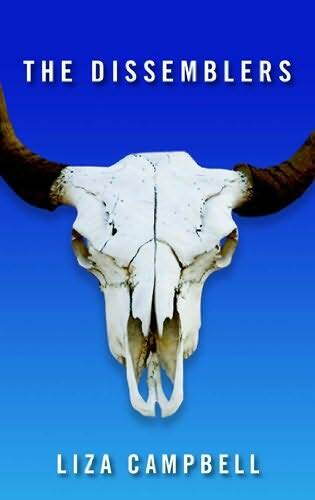 Some things that happen in the dreamscapes of D. Harlan Wilson’s They Had Goat Heads: A man is eulogized after dying in a movie he doesn’t remember auditioning for. A man who wants to be a monster truck welds wheels to his elbows. A nurse’s breast wraps around her neck like a tetherball and strangles her. Seven men try to arrest each other, the world, the galaxy, and every black hole in the universe. A man shoots a chimpanzee and falls in love with a police officer. A would-be superhero discovers that his cape is his arch-nemesis. A boy forgets how to fall asleep and his father smashes a banjo. Strongmen bludgeon circus-goers with rubber mallets. Zookeepers are locked in cages. 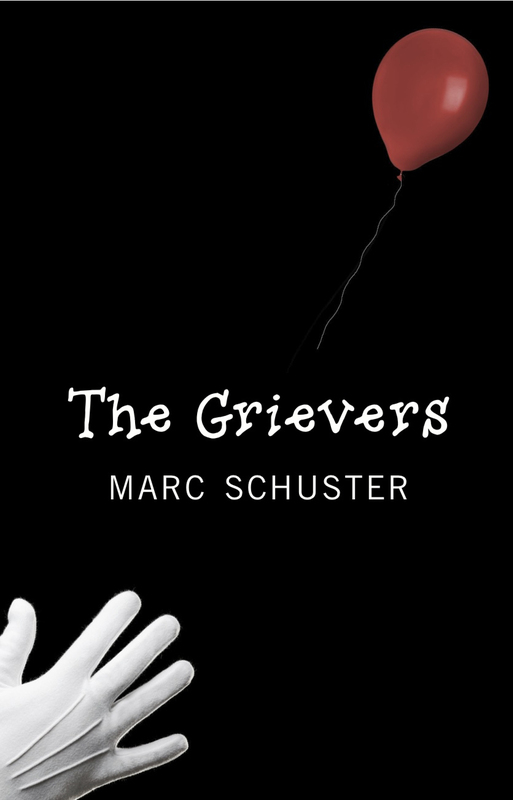 A gravedigger passes out hors d’oeuvres on the silver platter of an overturned spade. If you are intrigued, read the book. If not, what can I say? A mosquito has been snacking on my neck, arms, and legs for the better part of the afternoon. Most of these words are Wilson’s and not mine. Given my recent forays in the fine(-ish) arts, I found Liza Campbell’s The Dissemblers to be doubly intriguing. Not only is the novel beautifully written, but it also offers a loving meditation on (among other things) the nature of art and its place in our world. The narrative focuses on a young artist named Ivy Wilkes who ditches her past to seek her true path in Georgia O’Keefe’s New Mexico. Here, she takes a job in a museum gift shop, falls in love, and eventually becomes embroiled in a scheme to sell forgeries of O’Keefe’s work on the black market. Subsequently, Ivy’s work as a forger forces her to ask herself why humans as a species value art so highly. Is it simply for the beauty of artifact? And, if so, then why should an original O’Keefe fetch a higher price at auction than an exact replica painted by a skilled artisan? 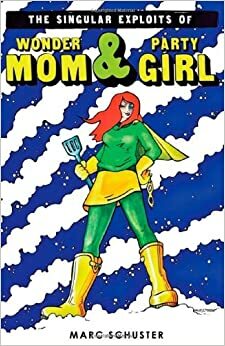 The answer, it turns out, is as complicated as Ivy’s relationships with the men (and woman) in her life. Hint: It has everything to do with love. One other thing that Campbell does especially well in The Dissemblers is capture the ambivalent relationship between the artist and the art she produces: “[W]hen you finish the painting, there is a period of glowing adoration for what you’ve done. You think, this is exactly what I meant to say… But one day, inexplicably, you’ll see the painting from a different angle, or in different lighting, and suddenly it is a trite and talentless painting.” The author, of course, is discussing a visual medium here, but the same can easily be said for the written word. How many authors, I wonder, feel the same way about their work? And, more to the point, how many have the guts to admit it? The Dissemblers is a beautiful novel in so many ways, and Campbell’s prose shines throughout. Whether describing the sweeping vistas of New Mexico or the longing of the human heart, she paints with words what pigments and brushstrokes might not so readily capture. 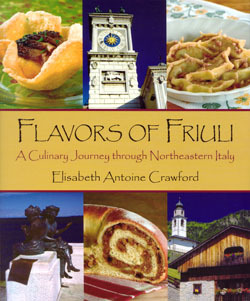 Little did I know when I picked up Elisabeth Antoine Crawford’s Flavors of Friuli that I’d be taking a mini-vacation in the middle of my summer break. Crawford’s beautifully photographed book is more than just a guide to cooking in the tradition of northeastern Italy. It’s a history and travel guide for the region. Divided into sections in line with the three main areas of this so-called “un-Italian” portion of Italy, the book offers a wide variety of recipes including hearty meats, delicate fishes, simple gnocchis and indulgent desserts. Each is inspired by the Austrian, Slavic, or Italian influences that make the region unique. The author’s passion for this special place comes through even in the recipes themselves. Crawford takes instructions from chefs and books she discovered in her travels, sometimes needing to guess measurements and proportions along the way. Her diligence and time in preparing for the book have paid off as her directions are manageable for most home-cooks. The minimal ingredients allow the delicious flavors to stand on their own. My own version of liptauer! I tried a few of the recipes myself, beginning with the Insalata di Pere a Montasio (Pear and Montasio Salad). I was surprised to discover that the ingredients did not call for vinegar, but upon my first bite, I sensed that the outstanding flavors of this salad are in the arugula, pear, walnuts and cheese, not in the dressing. 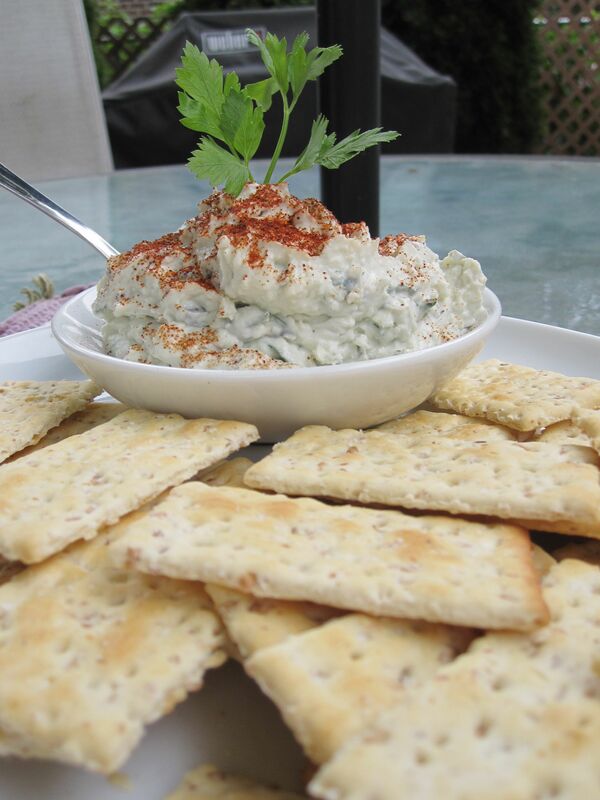 I also enjoyed the Liptauer (Austrian Style Cheese Spread), a tangy dip that took very little time to prepare and would make a delicious appetizer for company. A simple mix of gorgonzola and ricotta lightly flavored with mustard, capers, chives and parsley, the spread did not last long on our table. Another reason that home-cooks will find Flavors of Friuli so enjoyable is Crawford’s frequent recommendations for additions and substitutions to her recipes. She acknowledges that some ingredients, especially the cheeses unique to the region, may be difficult to find in the United States. Therefore, she offers alternatives that are more readily available. In the Cavucin (Butternut Squash Purée), I was able to use pumpkins from my garden in place of butternut squash and ricotta salata in place of ricotta affumatica. The simple instructions will make most cooks feel comfortable improvising and experimenting. At the end of the book, Crawford offers suggestions of restaurants, festivals, producers, museums and other sights for the prospective traveler. However, I look forward to even more evenings this summer at home at my own Friuli table. Fans of Margaret Hawkins’ first novel, A Year of Cats and Dogs, will find that she’s exploring some familiar ground in her sophomore effort, How to Survive a Natural Disaster, but they’ll also see that she’s progressed immensely in terms of both technique and emotional depth. As with A Year of Cats and Dogs, Hawkins exhibits a soft spot for animals throughout her latest novel. Indeed, a three-legged dog named Mr. Cosmo narrates portions of the book a la such contemporary pet-centered works as Garth Stein’s The Art of Racing in the Rain. 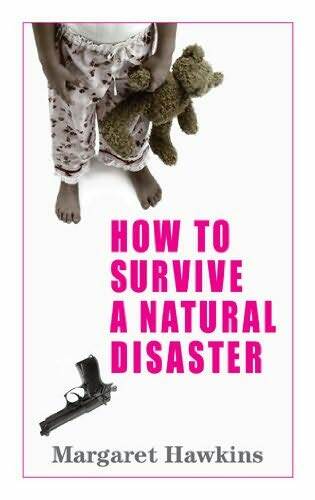 How to Survive a Natural Disaster, however, sees Hawkins expanding her character palate to include a mismatched and largely dysfunctional family whose ups and downs become especially pronounced when the mother decides to adopt a Peruvian child in a misguided attempt at infusing more love into her life. The result is a heart-wrenching tale not so much of the things we do for love, but the things we do when love runs dry. One thing that makes How to Survive a Natural Disaster so compelling is that Hawkins allows each of her major characters to shoulder the burden of narration. As a result, readers come at the truth (or “truths”) behind the events depicted in the novel from a number of different perspectives. In this respect, How to Survive a Natural Disaster is reminiscent of Virginia Woolf’s The Waves, though a contemporary setting and more conventional use of language lend themselves to greater emotional resonance in Hawkins’ book. Another way to say this might be that Hawkins can be artistic without going over the heads of most readers, for How to Survive a Natural Disaster does a wonderful job of walking the fine line between high art and entertainment in that it appeals to the heart as well as the mind. How to Survive a Natural Disaster is nothing short of excellent. Throughout the novel, Hawkins demonstrates a gift not only for creating strong characters, but for speaking in distinct tongues for each of those characters as well. Though dark at times, the world she envisions is ultimately a hopeful one—a world where sorrow and forgiveness have no choice but to walk hand in hand. With any luck, the fact that Hawkins envisions her world so clearly and vividly means that our own world might also follow suit. All told, an expertly crafted and emotionally gripping read.